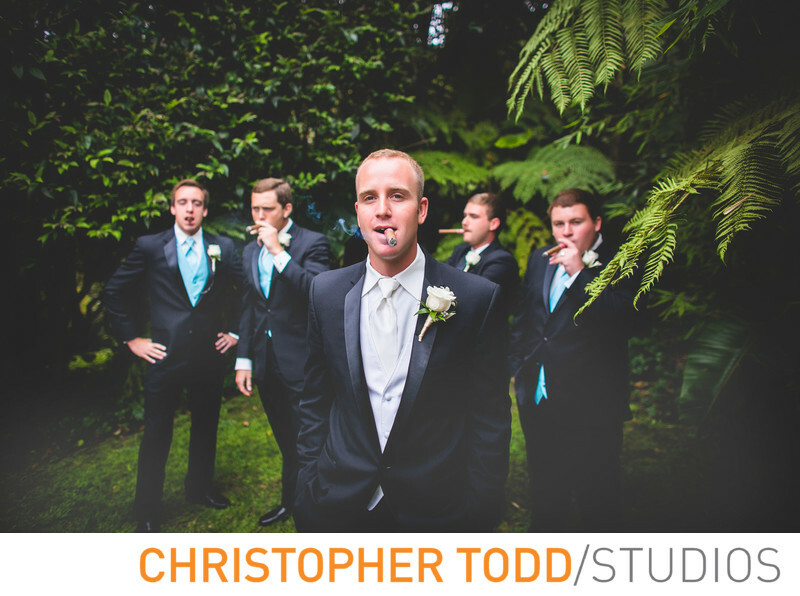 The groom and his groomsmen decided to celebrate the wedding with cigars. We photographed them in the garden at La Venta Inn next to the courtyard. Location: 796 Vía Del Monte, Palos Verdes Estates, CA 90274 . 1/1250; f/2.0; ISO 125; 24.0 mm.